If network marketing was such a great industry, why do so many people fail each day? Most companies have such a low entry fee, so why would people not capitalize on this great opportunity? Did I mention that I have been a member of at least 10 companies? I say at least 10 because I’m sure there were more but I have lost count. Each time a friend, family member, or neighbor came to me with a new business I was all in. I mean, I knew I could become the top seller. Thankfully I stopped collecting companies because once you figure out it doesn’t matter what company you’re in if you don’t have the right skills to make it in this industry – get leads, sell, and recruit – you’re not going to be successful. Well, there are many reasons in my opinion, but I want to share with you the top 3 reasons I believe people fail or don’t make it in the network marketing and direct sales industries. Have you read my post on how to find training as a network marketer, yet? 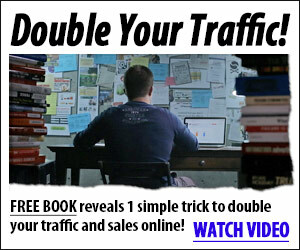 Want to know the complete system I use to get more leads, sales and signups for my business?